For those of us "of a certain age", who grew up through the advent of the Flashcube, there is probably no mystery as to the differences or their operation, but for the younger generations, and those of us who came into photography somewhat later, a degree of explanation may be welcome. A Flashcube comprises four AG1 size "peanut"-type flashbulbs, in a plastic cube-shaped housing (hence the name), that are fired conventionally by a battery in the camera or Flashcube Adaptor, consequently there are four pairs of wires on the base of the Flashcube that connect with contacts in the camera. A normal flash-synchronisation circuit in the shutter of the camera fires the forward-facing bulb at the appropriate time. On most cameras designed for Flashcubes, the cube is automatically rotated to the next bulb as the film is wound, but there is no indication in the viewfinder that the bulb now facing forward is used or otherwise. A Magicube initially looks very similar to it's predecessor, except that there are no wire contacts on the cube base. Each bulb is fired by an individual pyrotechnic detonator, for want of a better term, which is activated by a mechanical flag which pops up from the Magicube socket on the camera at the correct time. This mechanism can also allow the sensing of whether or not the bulb facing forward has been fired and will often show an indicator in the viewfinder of the camera if this is the case. Flashcubes and Magicubes are NOT interchangeable, either physically or operationally, indeed many of the handbooks for cameras with Magicube capability emphasise that damage may occur if one tries to fit a Flashcube in the Magicube socket. The differences between the two types of cube should be quite obvious from the descriptions above, but if you are peering into the socket on a camera trying to work out what fits, there are two electrical contacts in a circular groove surrounding the Flashcube socket, the Magicube socket has no groove at all. Neither Flashcubes nor Magicubes have been manufactured for some while, indeed a complete package of unused cubes could almost be considered a collectors item, and as time goes by there is no doubt they will become rarer. Whilst cameras that used these devices were being produced, some third-party manufacturers made electronic flashguns with an adaptor that would fit in the appropriate cube socket. These do turn up occaisionally in places like eBay's online auctions and may well be worth searching for should you wish to keep using flash on a camera with one of these fittings. There were also adaptors to allow the use of four (or less) individual AG1 bulbs in a Flashcube socket, though this information is probably only of academic interest. 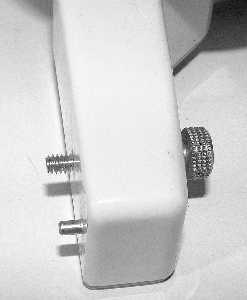 An English-made adaptor designed to fit in the "hotshoe" of several of the earlier Instamatic cameras to allow the use of flashcubes in place of the Instamatic Flasholder, which used AG1 bulbs. This fitting was also available on the Brownie 127, third model, indeed the sticker on the reverse of the adaptor refers to it's use on this camera. 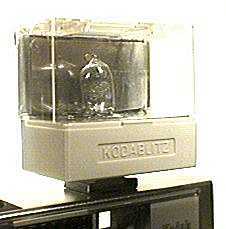 A similar adaptor was made by Kodak AG as the Kodablitz 25. A Flipflash, (also known as Topflash), comprises an array of 10 flashbulbs, each slightly smaller than an AG1, in a double-ended package about 5" long and 1�" wide. Investigation has shown that, on basic cameras at least, these are fired by a piezo-electric device in the camera which is tripped by the shutter release and timed to discharge into the Flipflash at the appropriate moment. The bulbs themselves are initially electrically isolated from each other, (obviously, else they'd all fire at once), but as one bulb fires the heat from the discharge causes a thermal link to be made on the board that supports the bulbs, to connect the next bulb in line to the firing circuit. The heat also causes a thin plasic membrane covering a hole on the back of the board to melt, thereby changing colour, to show which bulbs have been fired. Once half the bulbs have been used, the module is inverted ("flipped") to allow the rest to be used. It is always the half of the module farthest from the camera which is active, thereby giving a degree of "red-eye" prevention. As with the cubes above, Flipflashes are no longer in production. I have seen very few third-party flashguns to fit in a Flipflash socket, but Kodak themselves did produce the "Kodalux 3" flashgun, shown on my Tele-Ektra 32, though this does not fit all cameras with a Flipflash socket, only those with an extra small rectangular recess about 1" behind the Flipflash socket for the locking latch. 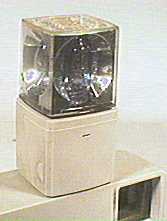 The Trimlite Instamatic 28 was also marketed as the "Big Flash 28" with an "Ektron II" electronic flash unit. This may be suitable for other cameras that will not accept the "Kodalux 3". This UK-made flashgun is shown here on my UK-model Duaflex II, though it will also fit the original Duaflex and those from the USA. 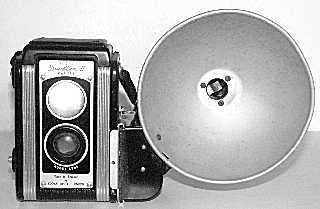 The Duaflex III and IV use "Pin & Screw" flash contacts. 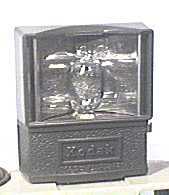 This US-made flashgun is designed for the "hotshoe" on many of the earlier Instamatics. This example is in grey, though a green one was available to match the Hawkeye Instamatic. The exposure guide on the back of this example is in French. With the introduction of flashcubes, the Instamatic Flashcube Adaptor was introduced. 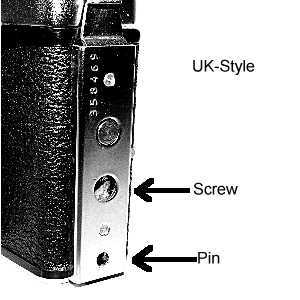 This Kodablitz flasholder, shown in the Instamatic 500 instruction book, is designed for hot-shoe use. The reflector folds flat, when the whole gun can be stored in a clear transparent box, half of which doubles as a flashguard, as shown here fitted on a Retina S2. 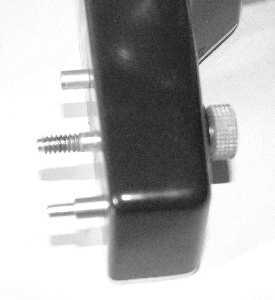 A German-made adaptor designed to fit in the "hotshoe" of several of the earlier Instamatic cameras to allow the use of flashcubes in place of the Instamatic Flashgun, similar to the English-made Instamatic Flashcube Adaptor. 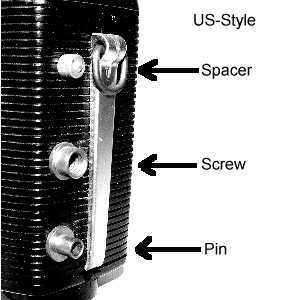 "Pin and Screw" flashguns come in two differing styles, those made in the USA and those made in the UK. They are interchangeable, as the electrical contact spacing is the same, as is the thread. The upper post on the American guns simply acts as a spacer, the UK-made guns fit flush with the camera. Whether the gun is the large style as often seen with the Brownie Hawkeye Flash, or a small gun, like the "Supermite" as seen on my Brownie Starflex, the fitting is the same. Shown below for comparasion are my Brownie Flasholder with my Colorsnap 35 and my Kodalite Midget Flasholder with my Brownie Starflex. At least one company marketed a "Pin and Screw" to pc socket adaptor, shown in the last picture. I do not believe this is a Kodak item, as it is not branded, but interesting nevertheless. Made predominantly from moulded nylon, it incorporates a sideways tilting accessory shoe.